Here is a great article originally published by Brent Tureski, Occupational Health & Safety Inspector for the Ontario Ministry of Labour. I have received quite a few questions regarding who can perform the training when it comes to Working at Heights and Fall Protection since I posted my Fall Protection vs. Working at Heights post on Linkedin (Click here to read). I would like this to be a short explanation but I don’t think that it will happen, however, I will do my best. 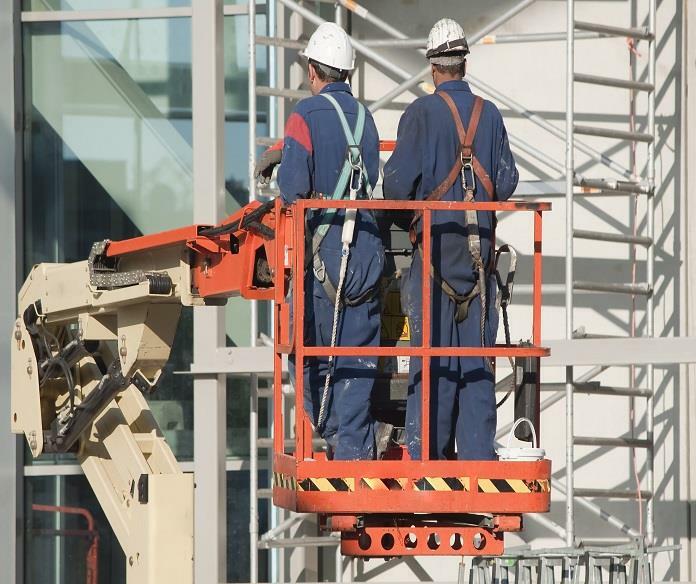 With the new Working at heights legislation there has been some confusion or instances of people mixing the registered trainer requirements for Working at Heights with the Fall Protection training legislation. The important thing to remember is that Working at Heights and Fall Protection are two different types of training. Working at Heights is legislated in Ontario Regulation 297/13 – Occupational Health and Safety Awareness and Training. It is also referenced in Ontario Regulation 213/91 – Regulations for Construction Projects in section 26.2, subsection (1.1). Fall Protection training is legislated in Ontario Regulation 213/91 in section 26.2, subsections (1), (2), (3), and (4). So what is the difference in the training between the two? is to establish a mandatory minimum standard for high quality and consistent training for workers who work at heights in the Province of Ontario. It is a comprehensive course related to fall protection but it does not concentrate one type or another of fall protection equipment. Is training that is specific to and includes the harness, rope grab, shock absorber, lanyard, rope, anchor, and any other device and/or personal protective equipment used for fall protection that the worker is and/or will be using while working for the employer. So what is the differences between the two when it comes to the trainer? The trainer must be registered as an approved trainer with the Ministry of Labour. A course obtained through a trainer who is not an approved trainer is not in compliance with O.Reg 297/13 and therefore not a valid card. You can find the list of approved trainers on our website on this page (Click here to read). The trainer must provide adequate oral and written instruction to the worker. This means that an on-line course is not sufficient. An on-line course would meet the requirements of the written training but not the oral. In addition, the trainer must be a competent person. So who is a competent person? (c) has knowledge of any potential or actual danger to health or safety in the workplace. Does this mean that one worker can train another worker? 1. A written training and instruction record for each worker he/she has trained. 2. The record must include the name of the worker who was trained, the dates that the training took place and the competent person who performed the training must sign the training record. 3. The training record must be available to a Ministry of Labour Inspector upon request. I hope this somewhat clears thing up for all those of you whom had questions. If you still have questions or concerns please feel free to contact the Ministry of Labour website at www.labour.gov.on.ca or call the Ministry of Labour Health & Safety Contact Centre at 877-202-0008. Click here to contact Safety First Training Ltd. and book your Working at Heights training today!